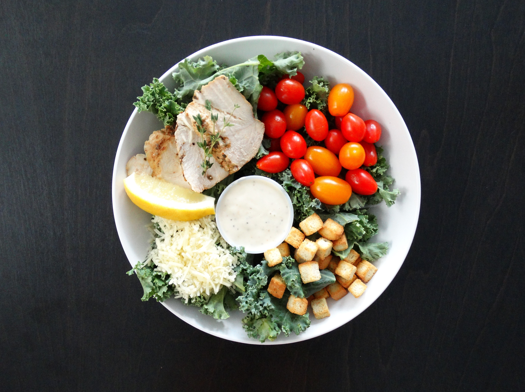 Kale, romaine leaves, tender chicken breast, cherry tomatoes, shredded parmesan, and seasoned croutons served with a light lemon caesar dressing. 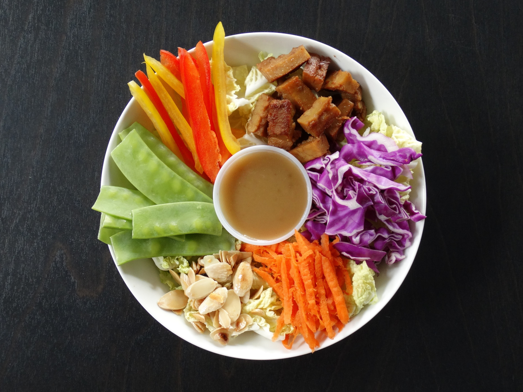 Nappa cabbage, snow peas, tempeh, shredded carrot, bell peppers, and sliced almonds served with a tamari-based honey dressing. 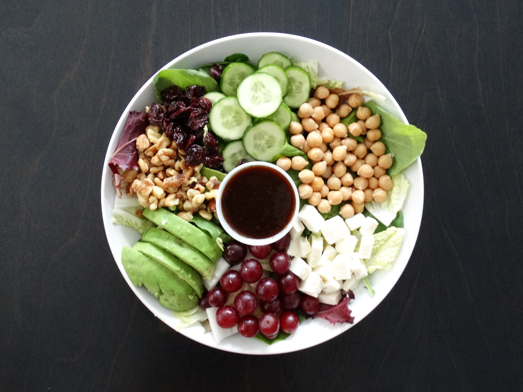 Chopped nappa cabbage, romaine lettuce, feta cheese, grapes, cucumber, chickpeas, walnuts, and dried cranberries all smothered in a fresh orange juice balsamic vinaigrette. 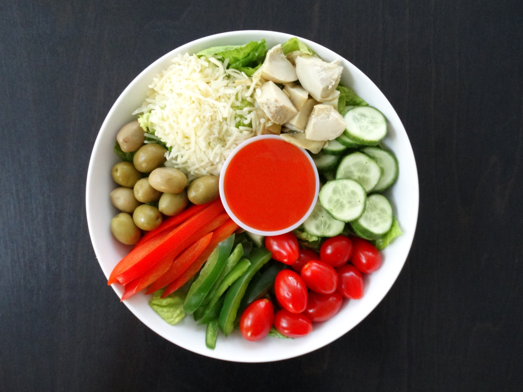 Fresh local romaine leaves, local baby spinach, cherry tomatoes, cucumbers, shredded carrots, feta cheese, green olives, bell pepper slices all served with a savoury paprika ketchup dressing. 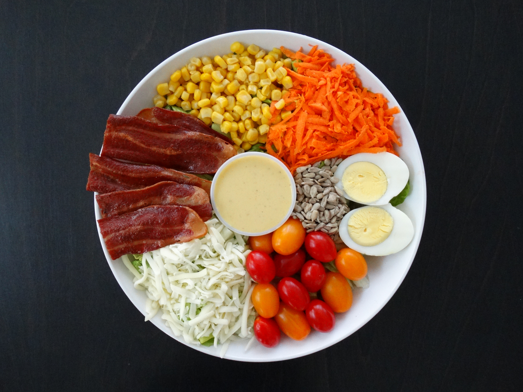 Romaine lettuce, sweet corn, shredded carrots, cherry tomatoes, cucumber, turkey bacon, and shredded cheddar cheese all accompanied by a honey-mustard dressing. 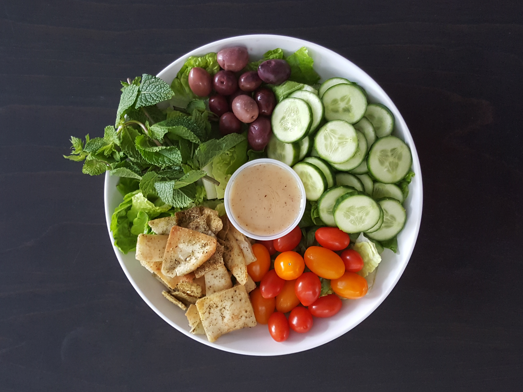 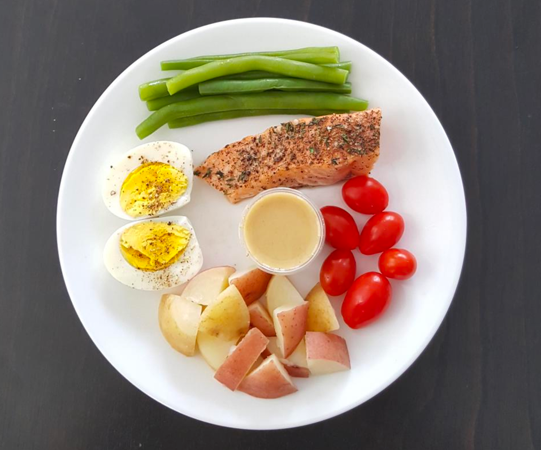 Romaine leaves, cherry tomatoes, cucumber, fresh mint, radish slices, pitted Kalamata olives, and homemade pita chips all served with a sumac-inspired lemon dijon dressing.